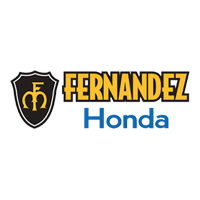 Fernandez Honda invites you to explore our Honda lease deals and new car specials in San Antonio, TX. If you’re looking for only the best San Antonio deals on new Honda cars, trucks, SUVs and minivans, then look no further. Our friendly Honda leasing team is standing by to help you find the Honda special offer you need to drive away in a new vehicle today. Should You Lease Your Next Vehicle? One of the options that are provided to our customers is to lease a brand-new Honda vehicle off of our lot. What is the difference between leasing and buying a car, truck, or SUV? When you lease a vehicle, you are keeping up to date with the latest and greatest in our inventory and every two or three years, you will have the opportunity to bring in the vehicle that you have leased and swap it out with our newest model. You can even buy the car outright at that point as well. Buying the car outright makes the car yours do with whatever you please with no limitations. There is no mileage penalty if you go over the set amount of miles. So if you drive a lot of long distances, this would save you money in the long run. Leasing makes it easier to get a more modern car for less money. This is the case because you only pay for the value of the car rather than the purchase and owning of the entire worth of the vehicle. Ultimately, it’s up to the decisions of smart car buyers in San Antonio to weigh the pros and cons when it comes time to look into getting a new vehicle. 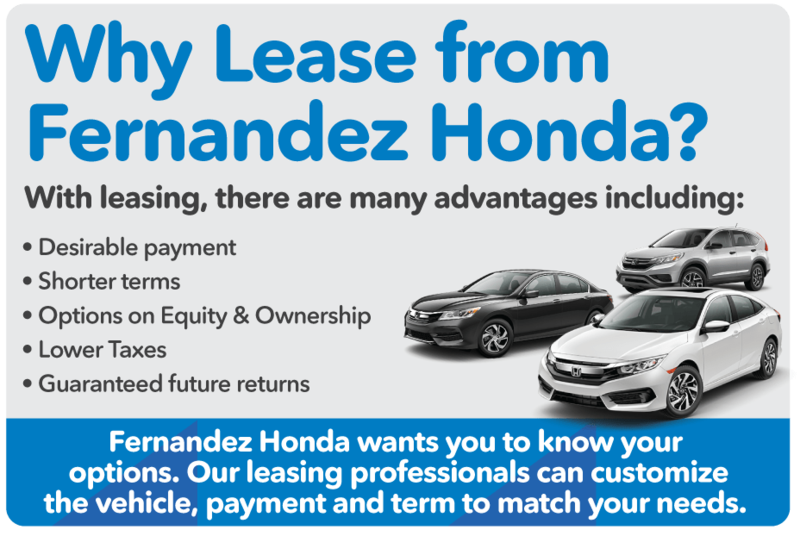 If you have decided that leasing is for you, then contact our staff at or come on down to Fernandez Honda at 8015 IH 35 S., San Antonio, TX 78224 with any questions today! If you have decided not to lease a new vehicle, then that’s fine too. Be sure, though, to check out our new and certified pre-owned inventory for the vehicle that you would like to purchase! We look forward to hearing from you!